With azure seas lapping at white sandy beaches, palm trees, and a horizon dotted with tropical islands, southern Cambodia is reminiscent of Thailand of days gone by. Thoughts of Cambodia normally conjure up images of temples, yellow-robed monks, and children riding buffalo through rice paddies, but the country also offers island paradises with days spent lazing on lush tropical beaches and nights partying away at an all-night jungle rave. With so many options to choose from you may wonder how to choose, but this handy summary will help you find your perfect Cambodia island destination. 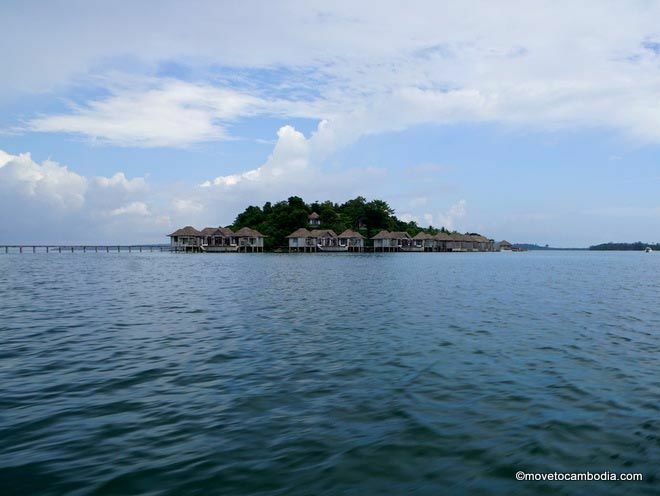 Where the Cambodian coast meets the Gulf of Thailand, the ocean is dotted with hundreds of islands, with over 25 off the coast of Sihanoukville and Ream National Park alone. Although some are uninhabited and others are privately owned, there is definitely a sandy island paradise somewhere that’s just waiting to tick all your boxes! Koh Rong is known for cheap accommodation and more fun than you can handle. The most well known Cambodian island, Koh Rong holds a well-deserved place on the Southeast Asian backpacker loop as Cambodia’s legendary party island. Koh Rong is Cambodia’s most developed island and while it’s gotten a reputation as a backpacker hangout, there are also more sedate accommodation options on gorgeous private beaches dotted around the island. The most popular part of the island is where the party is and has everything you need including real showers, power and WiFi, cheap eats, shops, and dive schools. And of course, lots of ways to get drunk. If you’re looking for more info on Koh Rong including where to stay, what to do, and where to party, check out the Move to Cambodia guide to Koh Rong. 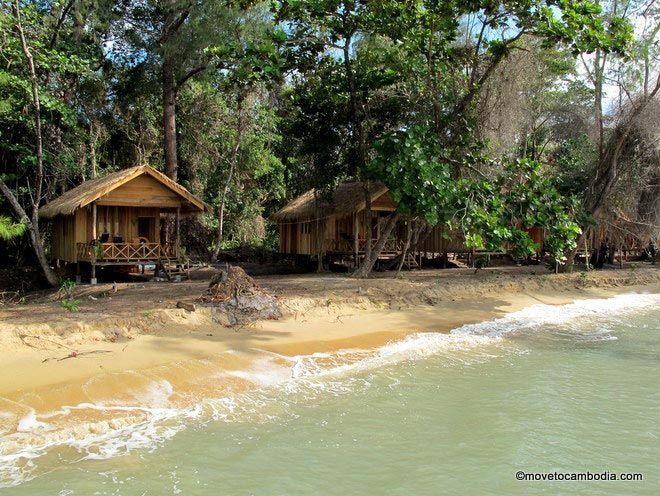 Beautiful Koh Rong Sanloem has everything from simple bungalows to high-end resorts. If you fancy an island getaway but don’t want to sacrifice your luxuries, then you can definitely find your paradise on Koh Rong Sanloem, with picture-perfect sunsets, long empty beaches, and a wide variety of accommodation, from inexpensive beach bungalows to high-end resorts with hot water and air conditioning. The island is famed for its gorgeous white sand beaches, lush jungle, with activities ranging from sea kayaking to scuba diving and jungle trekking and mountain bike tours through the rainforest. While Koh Rong Sanloem has less infrastructure in place than Koh Rong, it’s becoming known as the blissfully less manic alternative to Koh Rong. Koh ta Kiev has the perfect, chilled-out vibe. Fans of back-to-basics rustic chic will love Koh ta Kiev. The island is, for now, evading big development and is holding on to its bohemian castaway-esque character. The island is home to a wide variety of wildlife, lush jungle, and a whole host of activities from snorkeling and kayaking to squid fishing, rock jumping, jungle trekking. Visitors can also explore the local fishing village and get a unique taste of traditional Cambodia on an otherwise unique and quirky island. More accessible than other islands, you can take a $12 hour-long boat ride from Otres Beach, or a tuk tuk to Ream National Park, where it is a 10-minute hop to secluded beaches and a relaxing getaway. For a few dollars you can pitch a tent or a hammock, or spend the night in a treehouse, a ‘jungalow’ or a beach-front dorm in one of the bohemian, eco-friendly resorts dotted across the island. 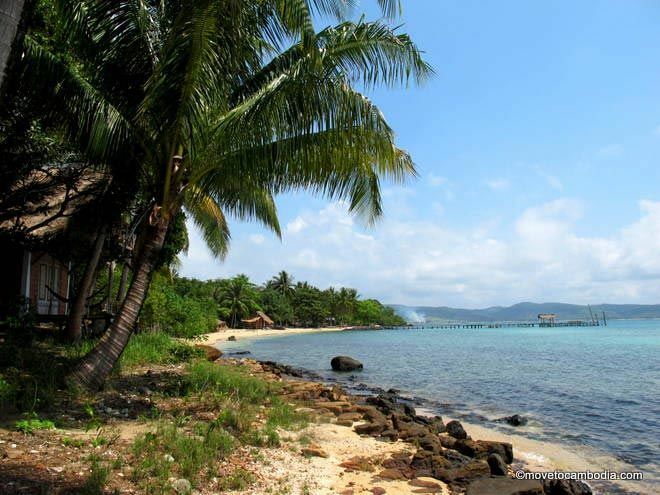 Get away from it all on Koh Totang. Fancy getting away from it all completely? On the beautiful island of Koh Totang, you have no real choice in the matter! This is true Castaway, with the island being so off-the-grid that you have no choice but to kick back, relax and recharge your mind, body and soul. 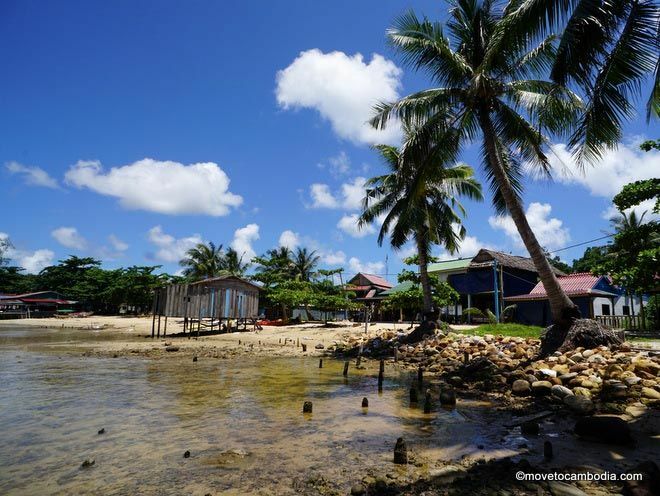 Nomads Land, the only resort on the remote island, is a self-sustainable ecologically friendly guesthouse with five bungalows, relying on solar power, composting toilets and bucket showers, and reuses rainwater for drinking water. With no WiFi for miles around, this is the perfect place to enjoy your beach-side hammock, snorkel with tropical fish, kayak around the island and even take a speargun workshop, where you learn how to fish the traditional way. 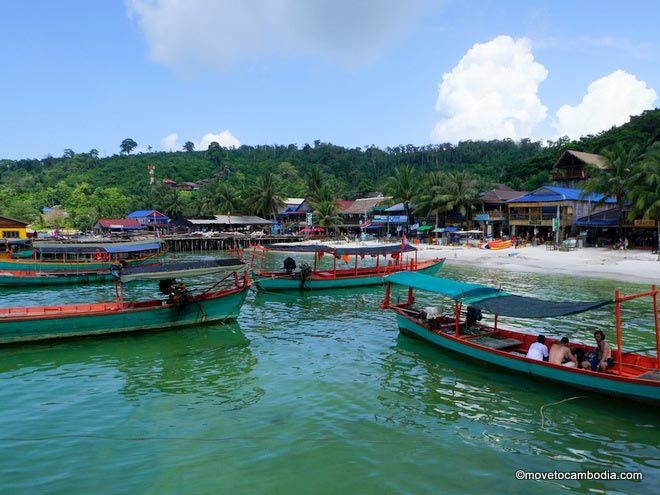 Koh Thmei is a nature-lover’s paradise. 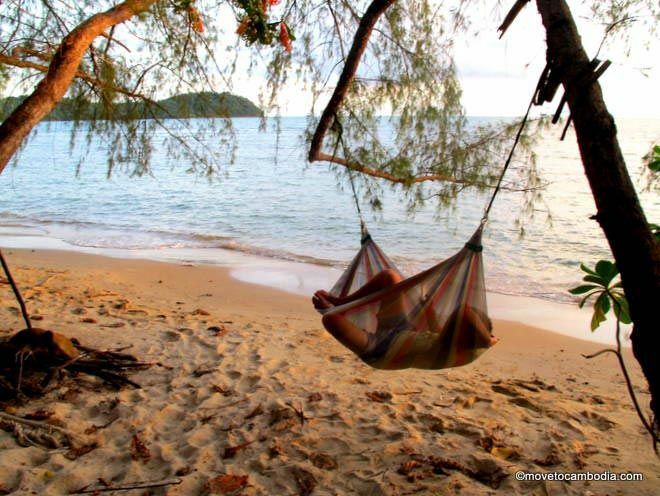 Nature lovers will definitely find their paradise getaway on the all-but-deserted tropical island of Koh Thmei. Just off the coast of the beautiful Ream National Park, the island is ringed by mangrove forests, and is home to just one intimate and eco-friendly guesthouse, the Koh Thmei Resort. Pass your days walking along long empty beaches dotted with exotic shells, snorkel through the local coral reef, scan the horizon for pink dolphins and go bird or monkey spotting in the beautiful jungle. For those seeking seclusion, relaxation, and a chance to recharge and connect with nature, Koh Thmei Resort’s rustic bungalows provide the perfect home from home, as long as you’re willing to forgo a few little luxuries like electricity and WiFi. Song Saa on Koh Bong P’oun from a distance. For those who need a little more luxury in their lives, the incredible Song Saa Private Island Resort provides 5-star all-inclusive pampering on the blissfully remote Koh Bong P’oun (also known as Koh Oun and Koh Bong), 35 minutes by speedboat from the shores of Sihanoukville. With lush rainforests and white beaches ringed by tropical coral reefs, the two islands are connected by a wooden footbridge over an established marine reserve. Enjoy world-class spa treatments and wellness sanctuaries in the rainforest, scuba diving, kayaking and a stunning infinity pool. A world above the other island resorts, Song Saa is a veritable tropical paradise, but with a price tag to match. 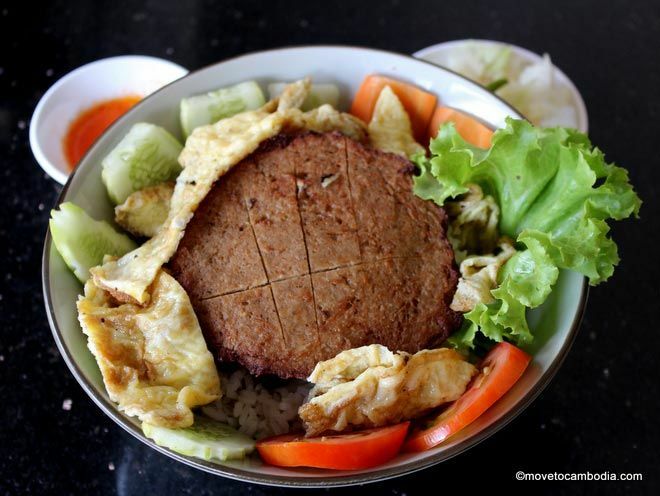 Read our full review of Song Saa Resort. Looking for more? View the full Koh Rong island guide for tips on where to stay, what to eat, and things to see and do. This entry was posted in Koh Rong, Islands and tagged Nomad's Land, Koh ta Kiev, Ten103 Treehouse Bay, Koh Thmei, Koh Rong Sanloem, Last Point, Coral Beach, Kactus, Crusoe Island, Song Saa. Bookmark the permalink. 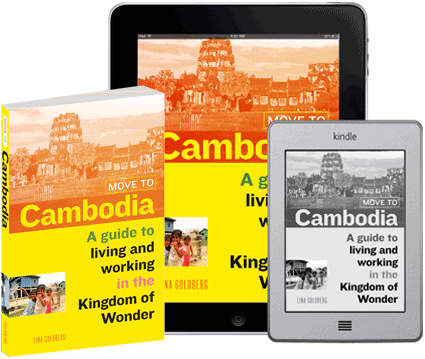 2 Responses to Which Cambodian island paradise is right for you? Thank you for this great post ! I have a small problem and I hope someone can help me. We will be on Koh Rong with my boyfriend in December and would like to go snorkeling and freediving to Koh Tang & Koh Prins without paying 1300 bucks or making a detour by going back to Sihanoukville. Do you have any idea if a dive company/taxi boat could leave from Koh Rong or Koh Rong Samloem and bring people who want to snorkel/freedive or dive to those islands ?